Grace Bonney is the founder of Design*Sponge, a daily website dedicated to the creative community. Design*Sponge was founded in 2004 and currently reaches nearly 2 million readers per day. 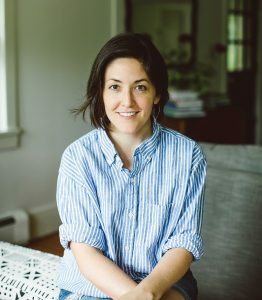 She has worked as a contributing editor at publications such as House & Garden, Domino, and Craft magazine. Grace is passionate about supporting all members of the creative community; she runs an annual scholarship for up-and-coming designers, writes a free business column for creatives, and is the host of a weekly radio show, After the Jump. After 12 years in Brooklyn, Grace now lives in the Hudson Valley with her wife, Julia, and their three pets.